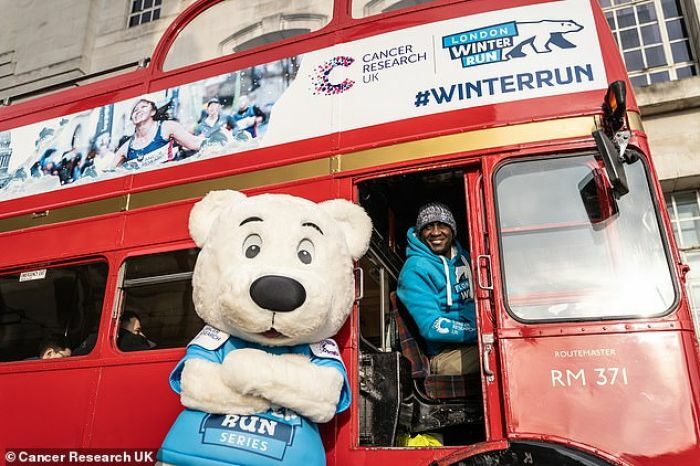 Leicester, Liverpool and England legend Emile Heskey ‘lead the line’ on Sunday 3rd February at the fifth Cancer Research UK London Winter Run. Emile was delighted to take on an Ambassadors role for this years event, putting on his running shoes to join over 23,000 participants on the 10k course. Emile commented “Winter is when most of us feel like staying wrapped up inside, enjoying a warm meal and a bit of tele, but it’s so important we remain active and healthy all year round. I’m used to getting up and training in all types of weather from my years playing football and I know first-hand how much of a difference it can make to your mood and wellbeing. I decided to team up with the Cancer Research UK London Winter Run to encourage people to get moving in Winter, whether it’s a walk or a run, and to get those endorphins flowing to feel happy and healthy”.